French President Emmanuel Macron’s decision on the so-called Armenian genocide is irresponsible, head of the PR department of the Turkish Presidential Administration Fahrettin Altun said, Trend reports referring to the Turkish media on April 11. Having signed a decree declaring April 24 the day of memory of the so-called "Armenian genocide", French President Emmanuel Macron has grossly violated international law. 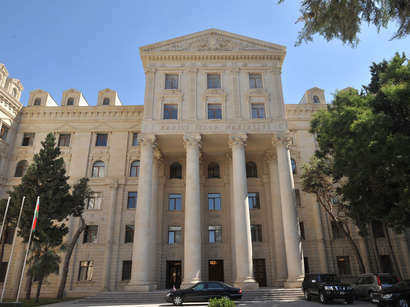 Azerbaijan is an oasis of stability in the South Caucasus amid the Azerbaijan-Armenia turbulence, Stanislav Chernyavsky, director of the Center for Post-Soviet Studies at Moscow State Institute of International Relations, said.